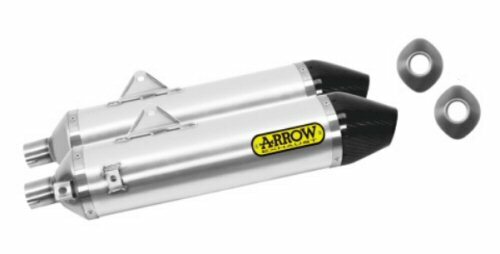 Weighing barely more than 10lbs, these Italian made mufflers will help you shed the better part of 11 lbs from you SWM! Canisters have removable db Killers/baffles. These silencers connect directly to your stock header pipes. Canister body length is 400mm with inlet and outlet diameters of 40mm. Canisters do not have catalytic converters, and may not be legal for road use in your state/province. Check local laws before purchase.